The “Great March of Return” continues along the border between Gaza and Israel. 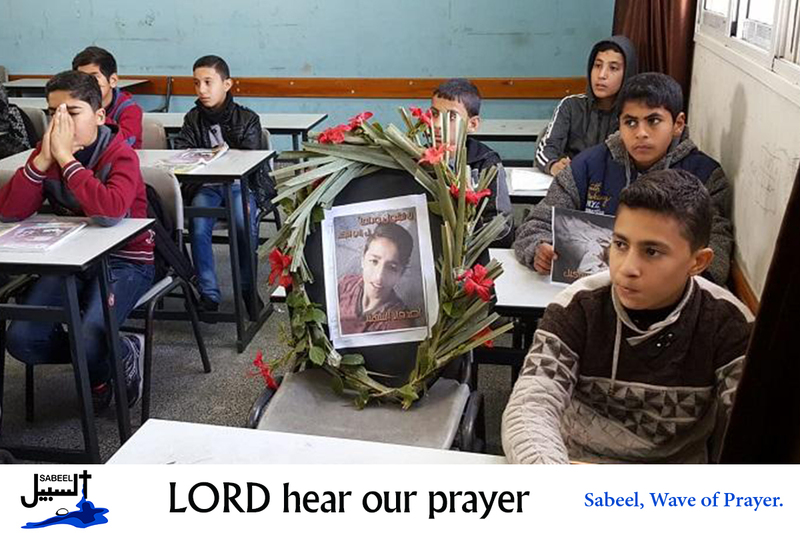 Two teenage boys; Hassan Shalabi, aged 14 and Hamza Muhammad Ishteiwi, aged 17, were killed by Israeli live fire. Israeli forces continue to use live fire, tear gas, and skunk water against protesters on a weekly basis. God of life, we pray for children and young people caught up in terror beyond their understanding or control. We pray for those who have been killed, maimed, bereaved; those who have had their future torn away from them; those whose lives are bleak, lacking opportunity, mobility and hope. Lord, in your mercy…hear our prayers.